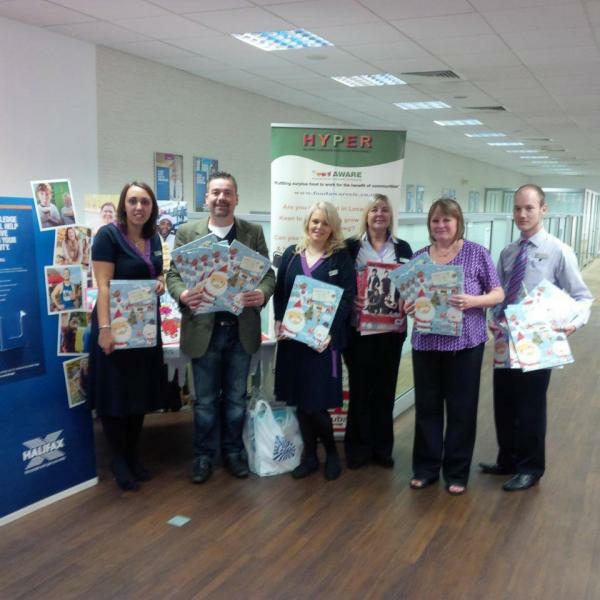 This Easter, you can help Disadvantaged Families in our local area. From today, in Mexborough, you can drop off your Easter eggs and other Easter related donations e.g. arts & crafts packs, cuddly toys etc to a number of local outlets, including Weekender office on High St in Mex, Halifax bank on High St, Nat West on Bank St, Wetherspoons Old Market Hall & Mexborough Business Centre on College Road. 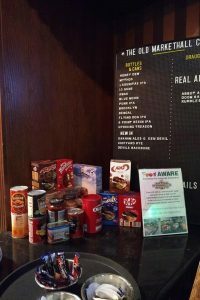 This fantastic project was hatched by Food AWARE and Mexborough Business Forum with Mex Business Centre kicking off the proceedings a couple of weeks ago with a ‘donation point’ poster. Many local businesses have already offered support e.g. Sheila’s Florist, Clayton Herbalist, Tea or Coffee etc. 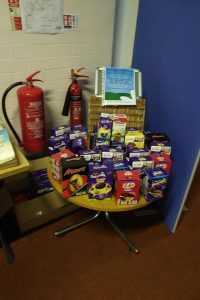 You have until 9am Wednesday 21st March to drop off your Easter offerings. 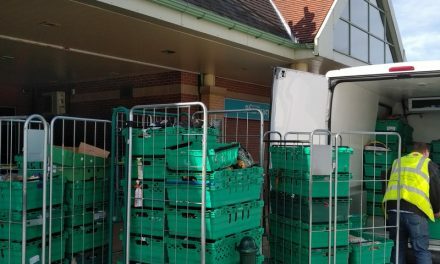 All donations will then be collected by Food AWARE CIC & JP Walton & Son Transport and distributed to local less fortunate families via Food AWARE community project network, Mexborough Foodbank, DMBC Stronger Families team, St Leger Homes, Mexborough Family Hub & Denaby Family Hub before the Easter break. 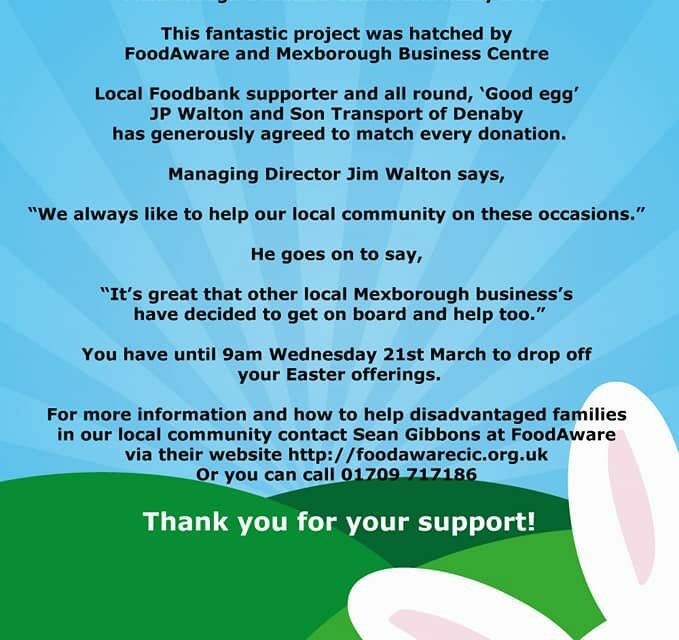 Sean Gibbons, Managing Director of Food AWARE & Chair of Mexborough Business Forum said “This is our fourth consecutive Easter campaign and every year it gets bigger. 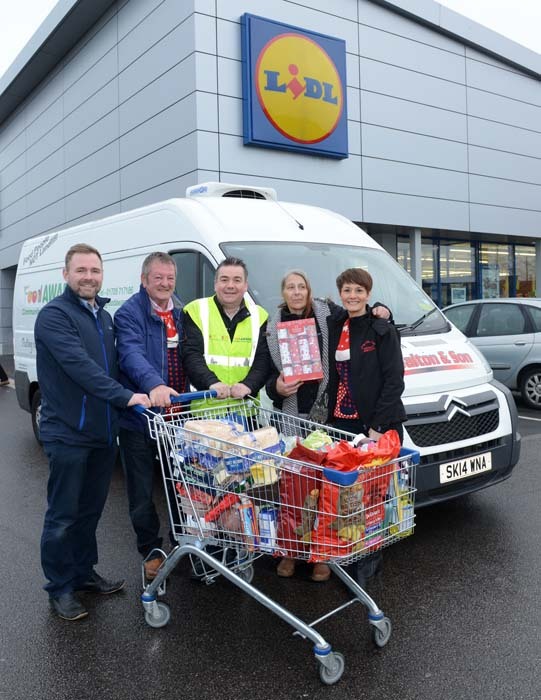 It is great see more local businesses and community partners coming on board to help those less fortunate. Easter is a special time for family and friends but we must remember that many local families are not so fortunate and need a helping hand”. 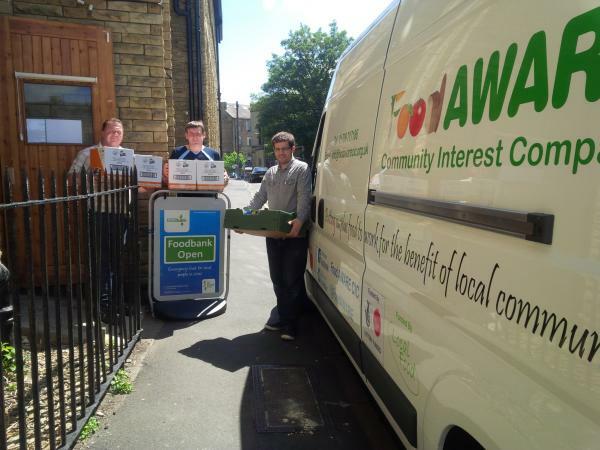 For more information and how to help disadvantaged families in our local community contact Sean Gibbons at Food AWARE CIC via their website https://foodawarecic.org.uk or email info@foodawarecic.org.uk or you can call 01709 717186.